If you have questions and/or comments scroll down to the contact form. Just to be clear about my position here... iPads are not for everything in the classroom, nor should they drive instruction. Students' needs and passions should do that. They also are not devices for practicing basic skills; you don't need a $500 device for that either, dice and cards work just fine. Neither are they rewards for completing classroom assignments. They are tools, just as a book, ruler, or crayon is a tool, and should be used to help meet the educational goals of the learning when appropriate. The biggest mistake I have seen "out there" is educators searching out apps and then stuffing instruction into them. As always, you have to begin with the learning that needs to take place. If the iPad can help the students achieve their goals, then by all means use them. If there are other, more constructive means for these activities then those activities are what should be taking place. This video eloquently, OK... maybe not so eloquently but humorously, makes this point. That being said, I am a BIG fan, so on to the ideas! 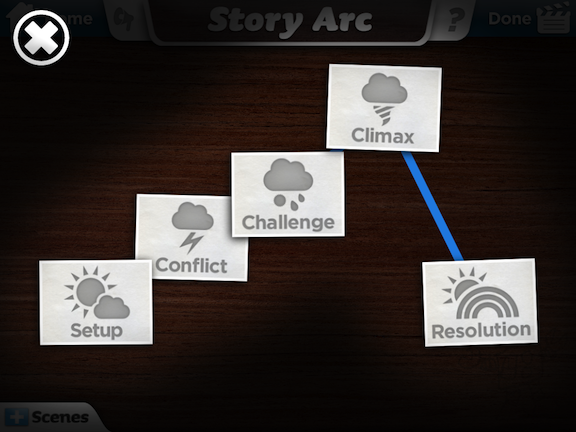 The app Book Creator is so simple and easy to use that you and your students will love it. Take the creation of class books into the world of technology. 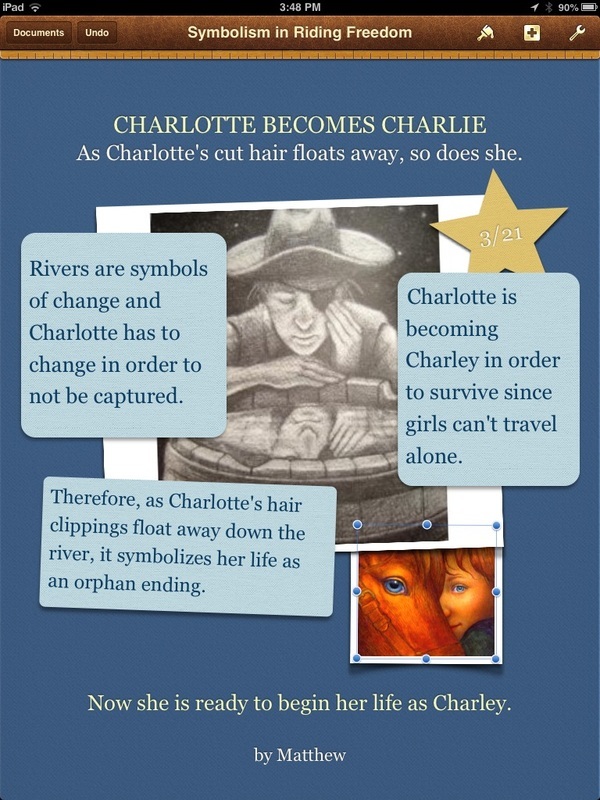 Students create pages with text, drawings, photos, and sound recordings. They can then share the pages with you via Drop Box, Google Drive, or email. Once you put them all together, you'll have a lovely class book. But here's the best part, everyone in the class receives their own copy. Even Grandma and Grandpa can have one as well. For older students, Creative Book Builder offers a few more options. If you really want functionality with the ability to embed video, slideshows, glossaries, study cards, and more, Apple's iBooks Author allows you to create iBooks which can then be offered in iTunes. Make a ThingLink, and not only because it is cool. ThingLink is an app for the iPhone, iPad, and MacBook, as well as a website, that allows you to link "things" such as text, photos, and videos to an image. Click or tap on the red triggers, and the linked media will pop up. The one that you see to the right is one I made in a leisurely half hour as an example for my students. Here is a video that explains how to use it in under five minutes. Background images can be maps, diagrams, timelines, photos of a group of important historical figures or literary characters. The possibilities are endless. This could be a short project done in one class sitting or for homework. However, if the linked videos, images, or text requires research and creation beforehand, then this could be a long-term project. It could even be used after a field trip, created as a collaborative project. Subtext Rocks with Reading A-Z! So I have a subscription to the Reading A-Z website and we use the guided reading resources that they provide daily in our school. If you haven't checked this site out, stop reading and do it now! The site has leveled reading books that you can project or print out and use for guided reading. Now the books are good, not the garbage that you usually find with commercially produced items like this. But here is the best part... the books come in different languages and with a host of resources for each one. The comprehension and discussion questions provided actually require thinking! They also have books that have versions at three different reading levels so you can have an entire class reading the same book, but at their appropriate level. Now, on to my latest accomplishment, importing these books into the Subtext app on the iPads allows reading groups to extend outside of the classroom. Subtext is a collaborative reading app that lets you as the teacher put polls, quizzes, and discussion threads right in the margins of the book. You can also cloak responses so that a student can't see the replies of others in the group until they have posted their own answer. Now this is like a Reese's Peanut Butter Cup, two things that go great together. In Reading A-Z, open the single-sided version of the book and tap anywhere on your screen. When the "Open in" prompt comes up, choose Subtext. You can then put it on the book shelf for your students. There is also the option of students opening the accompanying worksheets in an annotation app such as Notability or Penultimate in order to go paperless. Rock on and read! 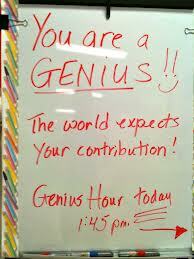 What if you mixed problem-based learning and Genius Hour (also known as as Fed Ex Day and 20% Time) but you put a community service spin on it? Start with challenging the students have to find a problem in their school or neighborhood community. Then use the principles of Design Thinking in order to begin Com-Passion based learning. Next, the students brainstorm solutions that will meet needs and provide possible solutions to the problem. Once here, the students can choose what they believe will be the best option from their brainstorming and formulate a plan. (Here is a student planning sheet.) Finally, let them go. Get out of the way of their learning and see what happens. I promise you will be surprised not only at the learning, but at the dedication of your students. But remember, failing forward is an important part of the process. If the first idea doesn't pan out, go back to the others from the brainstorming process and have another go at it. This is probably, no DEFINITELY, the most important part of the entire process. This is where the kiddos will learn perseverance, resilience, and true problem solving skills so accept it, foster it, and cherish it. Now one last thing... it is important for you as the teacher to fail forward as well. As teachers we often don't allow ourselves this luxury. But I ask you, if we don't model it for our students, if we don't take risks ourselves, then how can we expect it from our students? My first graders read about Arctic Animals in reading groups and were so excited that they wanted to learn more. 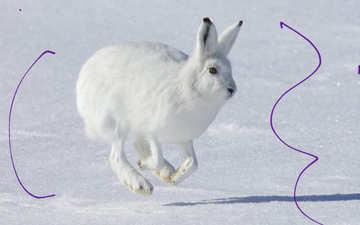 (Living in San Diego anything Arctic is extremely exotic.) Each pair of students chose one of the animals from the book and then spent a few days conducting more research on line. But what to do with all of this new found knowledge? Screencasts. They spent two weeks writing and editing scripts, a day choosing photos, and another day recording. Once we had all of the screencasts we had a film festival, complete with popcorn. 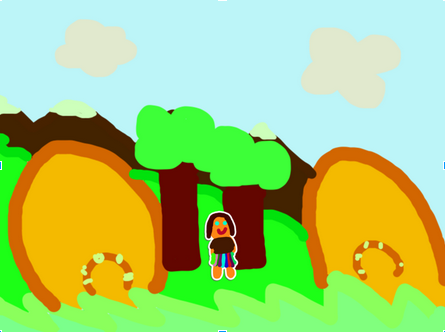 You can see them here on my Educreations site. And yes, these are first graders. Make videos of special events, activities, field trips, or end-of-year compilations. 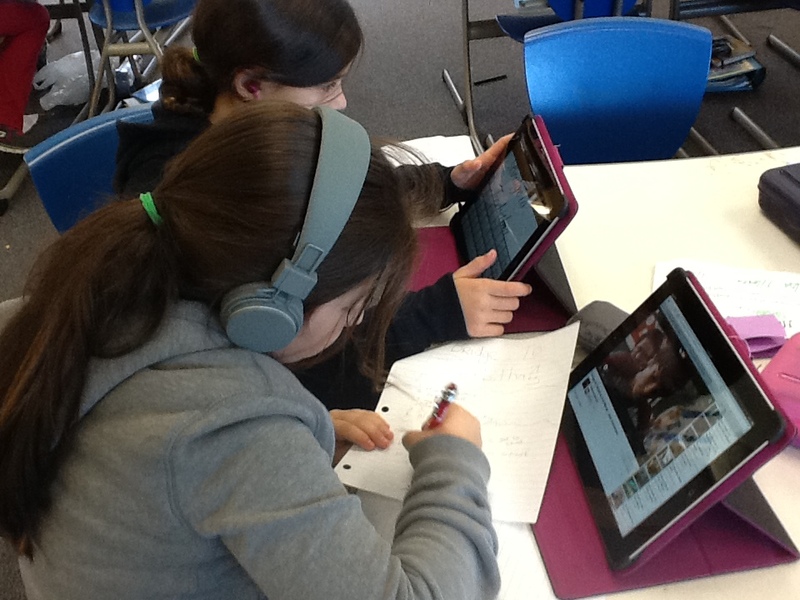 Animoto and iMovie are both extremely easy to use, whether teacher or student created. 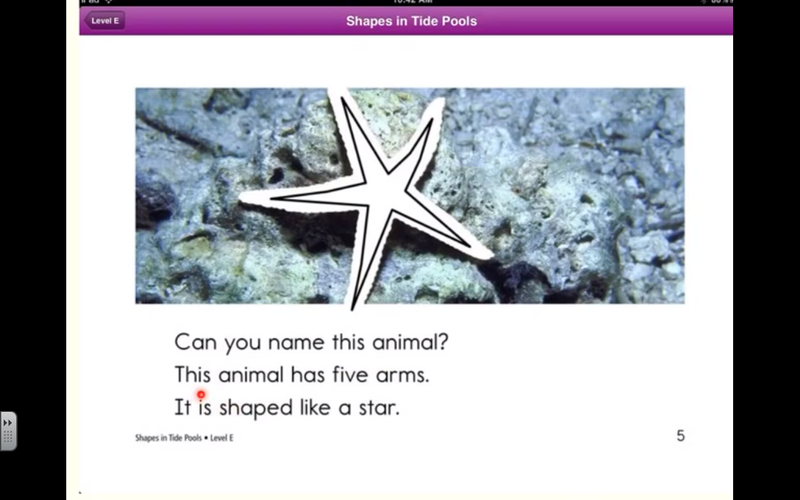 Screencasting apps like Explain Everything and Educreations can also be used with still photos. The kiddos and their families love watching them. Sometimes you have to do something just for the fun of it. When I do this I am always amazed at just how much learning can take place. In the example here, the learning was in more of a social vein for both students and teachers. I made a video of our 5th graders reminiscing about their favorite experience in the lower school before they graduated. I know a few spoke about some field trips, but that's about all I can remember. I was concentrating too hard on not laughing to listen properly. Watch the video and you'll see why. I wish I could say this way my idea, but like anything else in education, I copied it from this video. The kids loved it and couldn't understand how they never figured out what was going on. Make it exciting! I have my student Sammy to thank for this idea. I was about to scold him for not being on task when I realized he WAS answering his comprehension question! He was creating a poster out of his paragraph in his Pages app. ($9.99 in the App Store, but you can do the same in Google Drive on a computer.) Now I ask you, would you rather just read the answers to those long answer questions, or look at posters? When we made these, the students couldn't wait to see what their classmates had created. You've never seen that with plain, old, paragraph answers. You can see here, the first time we did this I gave the students a template because we were still working on proper formatting of answers. I only recommend using templates if necessary because it tends to stifle some of the creativity you would otherwise see. The Toontastic app is not only fun, but when used properly, can be an amazing tool for students to showcase their learning. If you are not familiar with the app go their dedicated educators website where you can find lesson plans, character cut outs, and even the link to their iTunes U course. The app has a free version but there are, of course, optional upgrades. However, they do have an education discount if you are purchasing multiple licenses. You also have the option of setting up your own class ToonTube account. Once students have the information from their learning or research they can use the storyboard planning sheet to plan out their cartoon. If you want a full script you'll need to adapt it to suit the need of your students. Once everything is planned it's movie making time! You can either use characters and settings provided by the app or you can create your own in a paint app and import them. Wouldn't it be fantastic to be able to compare a student's reading fluency and comprehension between the beginning and the end of the year? Side by side? With a recording? Well, with an iPad, it is entirely possible. All you need is a book, the student, and a screencasting app. Explain Everything costs $2.99, allows for editing and has the pointer dot that you can see in the photo. Educreations is a free alternative. If you don't have iPads, you can always just use an older student with a video camera. If the text is digital take screen shots of the pages to be used. If you are using a trade book, just take photos of the pages. Import the pages into the screencasting app. Record the student as they read and use the pointer to mark where their finger is moving. Once you have the recording upload it to the student's digital portfolio and save it for comparison later in the year, or even years down the road. Digital Portfolios can be housed on school servers, Google Drive, Dropbox, or another such storage platform. Wouldn't you love to hear yourself reading when you were in first grade, or discussing the symbolism you found in Lord of the Flies in 10th grade? Sorry I don't have a video, but I'm sure you understand that I want to protect the privacy rights of my students. With close to the sum of human knowledge at their finger tips, why are we teaching our students? They need to learn how to function in a world of information overload: how to sift through and find relevant information, scrutinize it critically, curate it, and then use it in the real world. These students are working on a literary terms lesson that they delivered and taught to the class. This included the lesson itself which includes a presentation with both live and media components, an entry page for their interactive paper notebook, and on-line resources for further reference which are linked to the physical notebooks with a QR code. I only facilitated the research skills, organization, and lesson development. It was a very powerful and empowering experience for the students to be the experts. With each group an expert on different terms anyone with a question went to the group experts, not to me. As adults in the real world we don't work completely on our own, so why should students spend most of their day doing worksheets independently? They shouldn't! With Google Drive students are able to work collaboratively on the same document, whether it's an essay, a presentation, data collection, or media project simultaneously. Learning becomes much more powerful when students are working synergistically. But they key component is to have an audience for this work once it is completed. This audience is not all that hard to find. Look around your school for starters. Younger students can be learners, older students can be judges, anyone can be the recipient of public service announcements. These students created "expert videos" that were put on the class website and used for review and reteaching. Only videos that clearly conveyed the lesson, were accurate, and engaging made the cut. Let me tell you, these kids got pretty darn creative when there was an air of friendly competition. More learning happened this way than I could have taught in a months worth of lessons. I mean this physically and virtually. Think of those group projects, now think of the power of group members who are elsewhere in the country or the world. Blogging is one great way to do this, especially if you join a quad blog. Find other classes to read your blog and comment on theirs. It is a great way to get started. If this is your first time blogging, you might benefit from this student made video with expert advice. Learn about geography through a Mystery Skype session. Find another class, get on Skype, and take turns asking questions with a yes or no answer. Helpful hint: Make sure not to give out names that can be found through Google and cover school logos with letters that might be easily identified. You can find partners through the Mystery Skype link above. 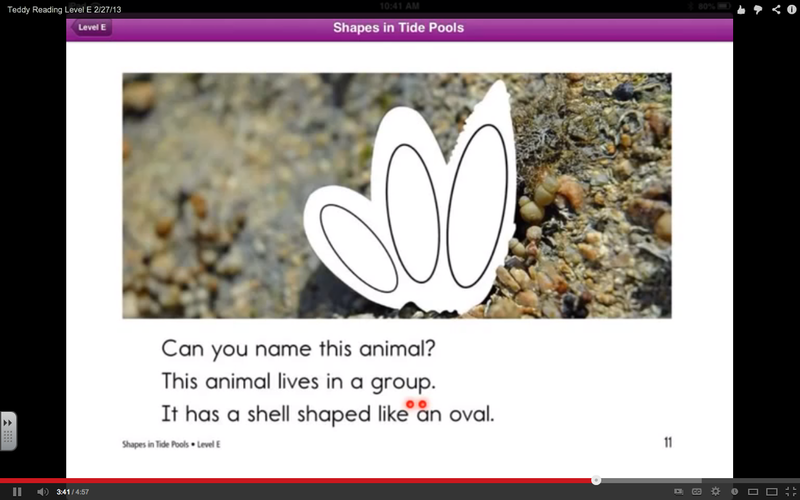 Here is a short Animoto video of our class made by my co-teacher Ms. Dattallo. Here is another video put together by another dear colleague of mine, Holly Clark. Then you might wonder, "What are all of my students doing during this process?" Well Pernille Ripp's class came up with a list of jobs so that everyone in the class plays a part.